If you’re looking to add a new dimension through customized masonry additions, during the middle of winter, it’s always a good time to plan for your snow removal needs, and Tri Star Irrigation and Landscape Systems Ltd. can help. As a landscape company with decades of experience, we understand that your landscape also included snow removal when that big storm hits. ​Contact us today, regardless of the time our year, to discuss your needs. We will review your situation and provide you with a competitive pricing that will allow you to go through winter worry free. We have many different plans available., depending on your needs, so let’s discuss thing today so you will be ready to go when the snow flies. 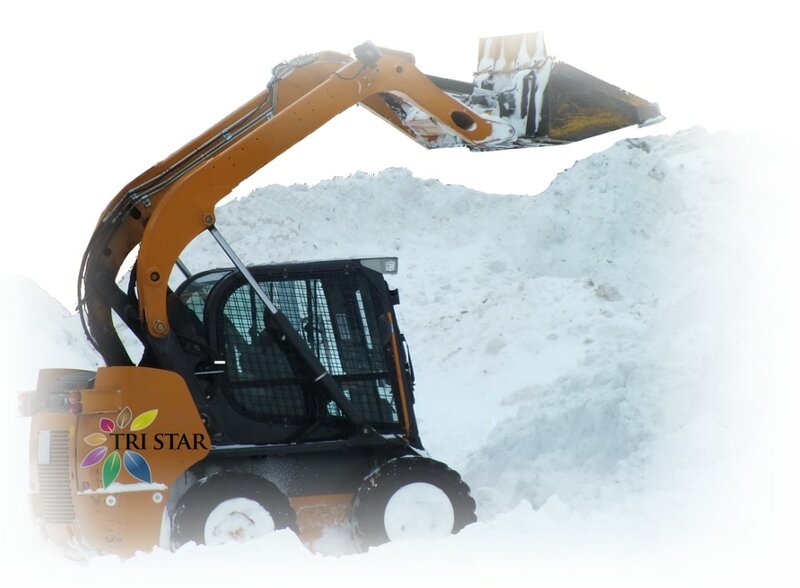 When the snow fall your residential or your business property will be expertly cleared by Tri Star to assure smooth travel and no interruption to your customers.